Description: Serial #2460. 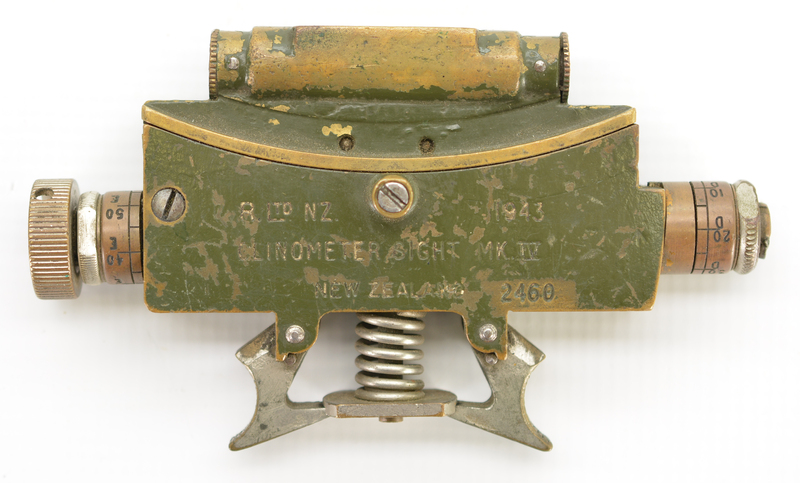 This neat little instrument has a 1943 World War II date and has a spring-loaded catch on the underside for secure mounting to the gun. The sight itself consists of a spirit level mounted on a curved scale with large brass adjustment knob on the right side. 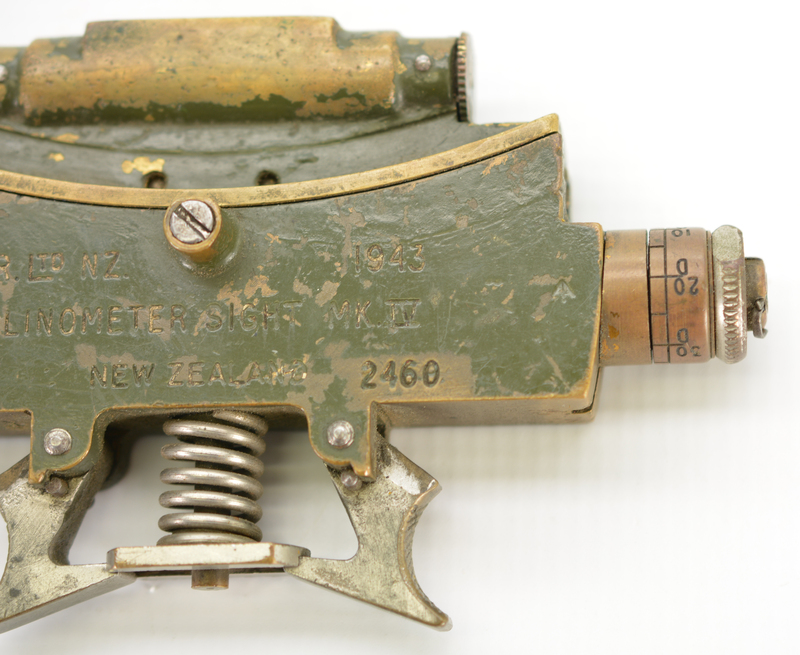 The sight itself is brass with about 60-70% of the dark green military paint remaining and a dark ochre patina on the metal wherever the paint has flaked or chipped. The level is still filled and indeed, the clinometer is still fully functional. 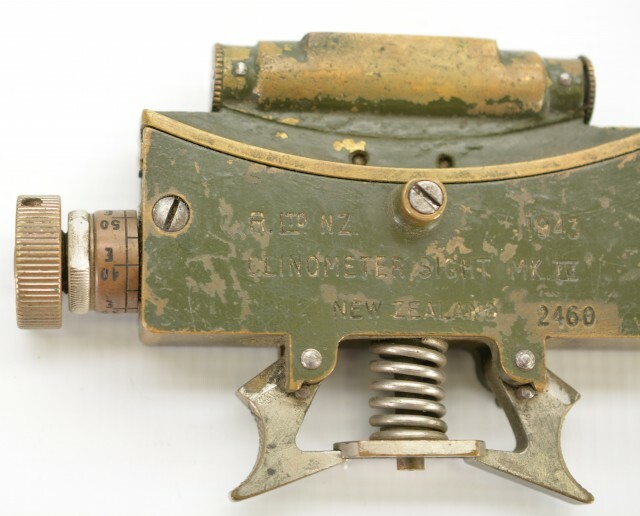 Just the thing to complete your Quick-Firing 25 pounder field gun or to add to any collection of World War II equipment.